Several types of 3D software visualizations have been developed to communicate information about the products and the development process of software projects. These visualizations have been limited in the degree of interactivity they enabled (primarily panning and zooming) and in their accessibility (since in most cases they assumed a particular client platform). We recently developed in Open Wonderland WikiDev3D, a 3D visualization of the data collected and extracted in our collaborative software-development platform WikiDev2.0 (see description at http://ssrg.cs.ualberta.ca/index.php/WikiDev_2.0). 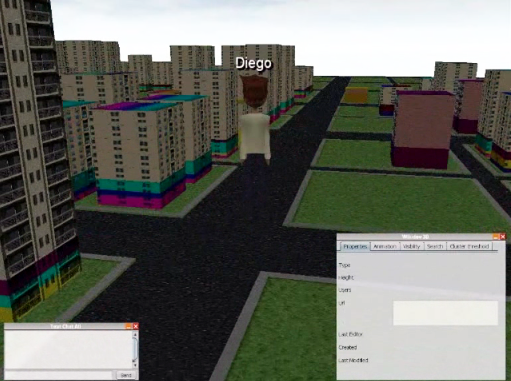 The visualization adopts a city metaphor, similar to earlier work, but advances the state of the art by providing a web-accessible distributed 3D environment where multiple users can explore the same project. A video demo of the tool can be found at http://ssrg.cs.ualberta.ca/index.php/WikiDev3D_Video. This is collaborative work by graduate students Marios Fokaefs and Diego Serrano, who are members of the “Service Systems Management” research group at the University of Alberta. For any questions, please contact the team leader, Prof. Eleni Stroulia (stroulia@ualberta.ca). 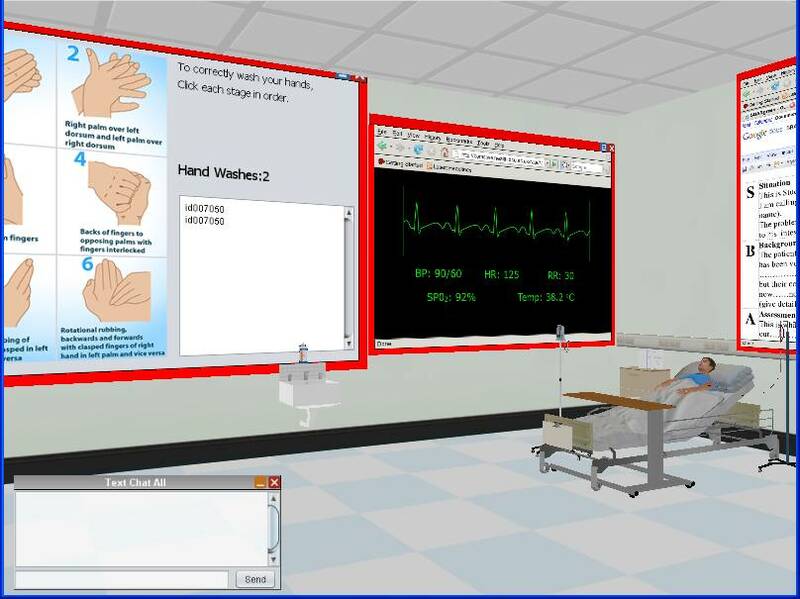 It seems like there is an increasing interest in using virtual worlds for health care applications. You may recall the recent COMSLIVE Wonderblog post describing the health care communication project at Birmingham City University. If you’re planning on attending, please let me know. We are pleased to announce that the Open Wonderland 0.5 Preview 4 release is now available. Comments? Questions? Bugs? Discuss on the forum and report bugs (and suggest patches!) on the issue tracker. You are currently browsing the Wonderblog blog archives for May, 2010.